It’s finally spring and in just a month or two the weather should be warm enough to finally head outdoors. Many Americans are now choosing to #OptOutside and take a long weekend to get outdoors with friends and family. As a result, there is more demand than ever to create functional campground space in New England parks. As more people flock to their local state or national campground, there is one demand that’s also on the rise: campground electricity access. The decision between electricity and no electricity at campgrounds is completely up to the state or national park service, so it’s important to inquire first about the rules. For many New England area parks, there are usually designated campgrounds that have electricity while others are non-electric. 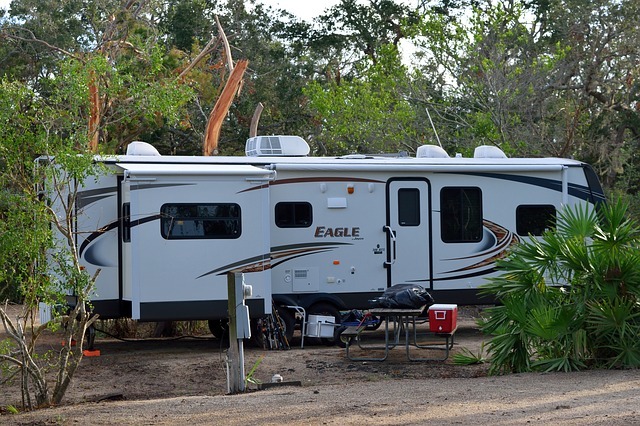 At Morrill Electric, our technicians have been busy installing or repairing campground electrical systems this spring, and we’ve seen an increased demand in the need to opt for electricity. One of the benefits of campground electrical systems is so that your customers don’t need to rely on other sources of electric, which could be unsafe for the surrounding park. Families in RVs and campers will often resort to thermoelectric generators, gas generators, and portable batteries. The issue here is that if any one of these malfunctions it could lead to problems in the campsite and can be damaging for the surrounding ecosystem. As a result of providing more safety for the environment and fellow campers, many parks have opted for campground electricity outlets. These outlets are used for those who have RVs, campers, trailers and other camping vehicles that require electricity. Morrill Electric is here to provide professional campground electricity installation service for parks across Massachusetts and New England. Our technicians design, install, and rigorously test each system to ensure it’s working properly and efficiently so that your campers are getting the most of their outdoor experience. If you’re ready to install an electrical system for your site, contact our technicians today for a free estimate!